Carlsbad CA— An impoverished community in a landlocked country in Africa. An upscale coastal city in Southern California. The story of Hospice of the North Coast’s (HNC’s) Global Partnership (GP) with Nkhoma Hospital in Malawi spans more than 10,000 miles and two vastly different cultures connected by a strong, shared commitment to providing a peaceful end-of-life transition for terminally ill patients and their loved ones. Titled “Mission Possible,” the compelling saga unfolds in serial fashion at https://hospicenorthcoast.org/global-partnership-story. The story chronicles the Carlsbad nonprofit’s energetic efforts to respond to the need in poor, disease-rampant Malawi for improved access to professional, compassionate hospice and palliative care. The GP, under the auspices of the Global Partners in Care program, was established in 2016 when the HNC team “met” the Nkhoma Hospital team via Skype and fundraising was initiated to support HNC’s provision of supplies, medications, technical assistance and other necessities. In October 2017, the Malawi team of Dr. Sam Kabota, Nurse Ellen Chizimba and Chaplain Leviticus Kefa journeyed to Carlsbad for a whirlwind educational experience. First, they met stakeholders at a Blessing of HNC’s Pacifica House, which had been newly reconfigured to better serve the needs of end-of life patients receiving symptom management care and their families. The three professionals spent nearly two weeks in medical trainings, addressing diseases that predominate in Malawi such as HIV/AIDs, liver disease and certain cancers. As they accompanied HNC caregivers to patient residences, the team learned basic preventive measures to help patients avoid needless pain. Currently, the two teams are engaging in collaborative processes such as conducting interdisciplinary meetings regarding patients via Skype. HNC is striving to increase awareness and raise funds. The money will enable HNC to pursue key endeavors such as supporting employment of a medical social worker to help families reconcile difficult situations within the family dynamic. Nonprofit Hospice of the North Coast was established in 1980 to fill the need for comprehensive, compassionate hospice care in North County San Diego. 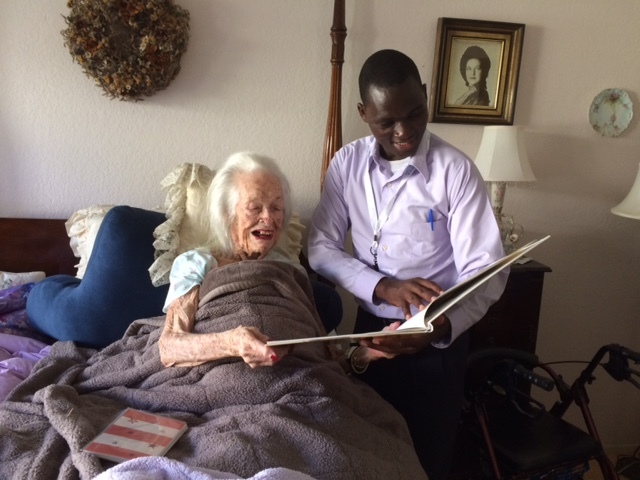 Since its inception, it has grown in services that include global partner Nkhoma Palliative Care in Malawi, a resale store in Encinitas, Pathways Palliative Care, Hope Bereavement Center and Pacifica House, the only in-patient acute symptom management facility in North County.